Bluegrass was the music of my youth. It was the music that I listened to with my father. It was also the music that you were most likely to hear played live. At every fair, every holiday, every gathering, there'd be a bluegrass band. During the summer we'd go to bluegrass festivals most weekends. It was a music that originated in the hills, far away from Nashville and the urban centres of the south. 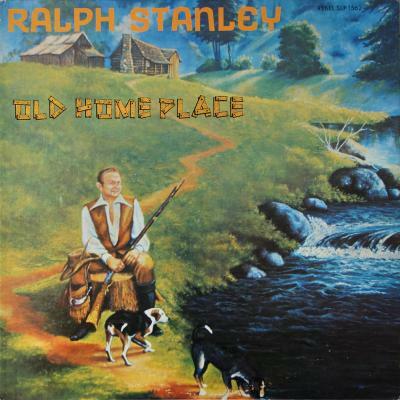 Ralph Stanley was my favourite. He sang like a man possessed, straight out of the southern gospel church. When you hear tracks like 'My Deceitful Heart' or 'Hemlock And Primrose', you know that Otis Redding grew up in the same churches as Ralph Stanley. My father bought this record at a festival because there was nowhere in the town where we lived that you could buy records. Primarily it was a music that people played live. There was a local radio station that played bluegrass on Sundays, but that was it. It really wasn't about collecting records, it was about seeing and feeling the power of Ralph Stanley's presence. As I grew up I started collecting records from that period, and it's ironic that only when I moved away did I start to find the records of my youth.